Up to 6" tall - blooms in early spring. 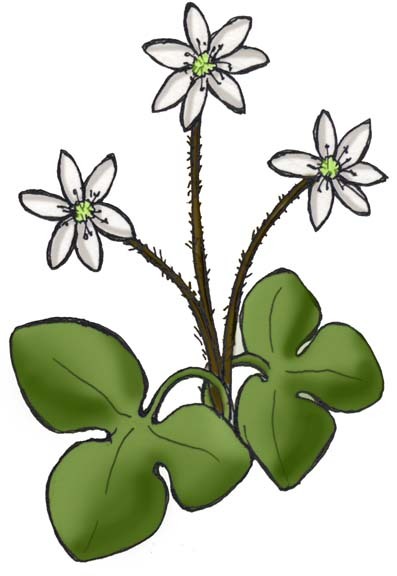 Small flowers can be white, pink or blue and sit at the end of a leafless, hairy stem. The leaves have three, rounded lobes. Also called, Liverleaf.